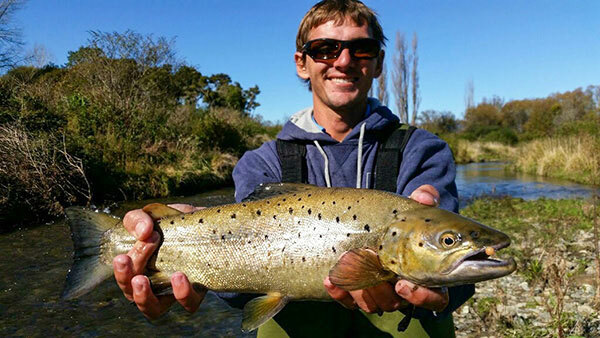 Trout fishing has been good for fly fisherman around Turangi area over the last few weeks with rivers like the Tongariro & Tauranga Taupo - fishing well. 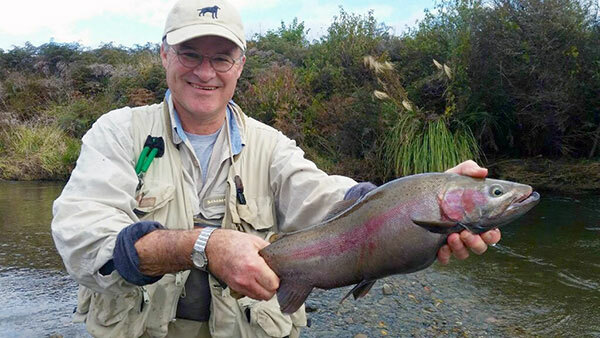 Rains came early this Autumn in the Lake Taupo & Turangi area, hence the river and Lake Taupo are high for this time of year which is great for all. 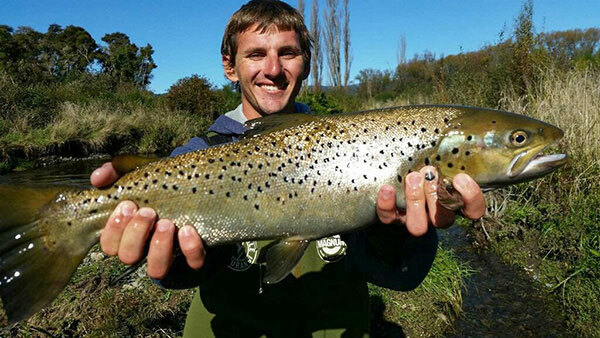 River and stream mouths running into lake Taupo have fished well lately with some fantastic conditioned trout been caught for eating. 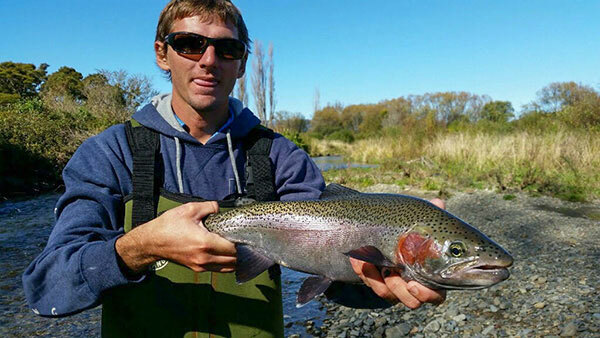 Lake Taupo has fished well for anglers over the school holidays with Jigging, Harling and Trolling bring in some nice Trout being caught by the school children. 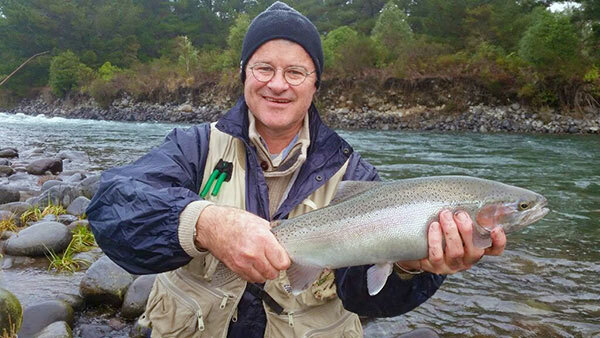 Lake Otamangakau has slow down a little on the caught rate with the weather cooling, but is still producing some supperb Trout. 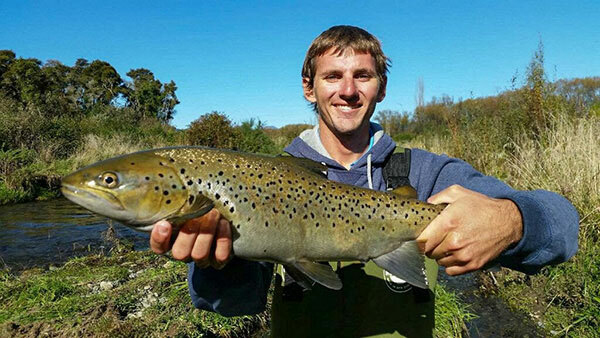 This lake has produced some very big Trout in top condtioned this season for anglers and will be interesting to hear on the size of the large Trout that go though the Te Whio fish trap over winter runs. Kelly Pellenat from Australia N.T. Kelly Pellenat from Australia N.T. 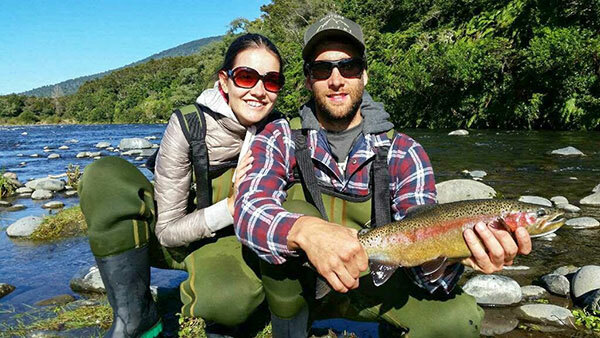 first time Fly Fishing in New Zealand, caught some nice Rainbow and Brown Trout, nymph Fishing while staying at Turangi's Leasure lodge.